Ralph Stanley II – Raining in My Heart. 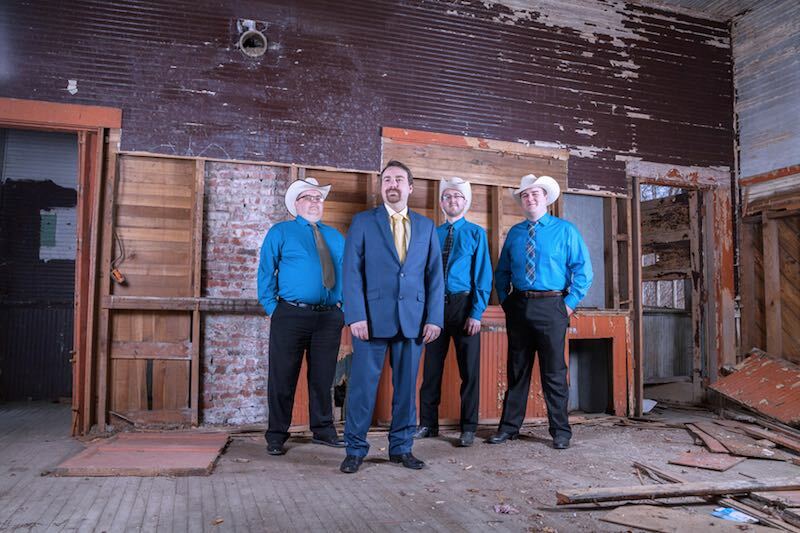 Ralph Stanley II & The Clinch Mountain Boys have announced the release of their new radio single Raining In My Heart written by Ralph Stanley II, Alex Leach and Joe Rose. The song is from the band’s self-titled album that has appeared on Billboard’s Top Bluegrass Albums Chart numerous times since its release. Bluegrass Unlimited Magazine refers to the tune as one of the “softer, gentle country sounds” from the album. Radio programmers can download the song at AirPlayDirect or request the file. The album has already generated a #1 hit on Bluegrass Today’s Top 20 Song Charts with Don’t Point Your Finger and recently appeared on the publication’s Top 20 Monthly Chart. “The new record has the potential of being one of the best traditional bluegrass records of the year,” said Bluegrass Today. Music fans can purchase the Ralph Stanley II & The Clinch Mountain Boys album at iTunes, Amazon, CDBaby, www.ralph2.com and more outlets. Ralph II leads the band on vocals and guitar. He is joined by Clinch Mountain Boys John Rigsby on fiddle and mandolin, Alex Leach on banjo, and Noah Brown on the upright bass. 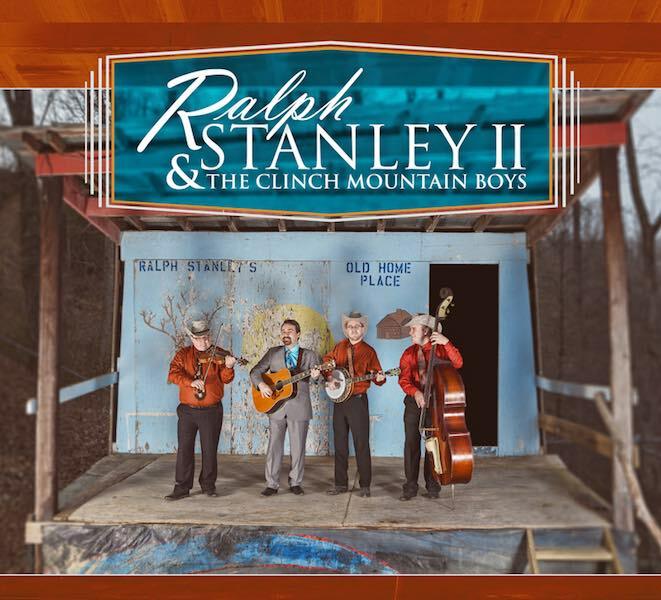 Stanley Family Records has just announced the new self-titled album by Ralph Stanley II & The Clinch Mountain Boys made its debut at #10 on Billboard’s Top 15 Bluegrass Album Chart. This is the first album release from the band since Ralph II took over the Clinch Mountain Boys band name last year per the wishes of his late father Dr. Ralph Stanley. The band includes Clinch Mountain Boy John Rigsby on fiddle and mandolin, Alex Leach on banjo, Noah Brown on the upright bass, and Ralph Stanley II on the guitar. The album cover photo was shot on the original stage at the Dr. Ralph Stanley Hills of Home Festival in McClure, Virginia. Not only did some of the most historic band members perform on this stage, but Dr. Ralph Stanley, Curly Ray Cline, along with Ricky Skaggs, Keith Whitley and their dads helped build it. The stage, just like the band members and legacy of the Clinch Mountain Boys, have stood throughout the years. The photo and album artwork was provided by Anthony Ladd of Kneelindesign. Ralph II has earned two Grammy nominations on previous albums including a Grammy Award on Lost in the Lonesome Pines along with his father, Dr. Ralph Stanley for their collaboration with Jim Lauderdale. Ralph II has also proven to be an accomplished songwriter and has six solo albums, along with the highly acclaimed duet album with his father titled Side by Side. Ralph Stanley II & The Clinch Mountain Boys debuted their new album May 26 during the Dr. Ralph Stanley Hills of Home Festival. The band also performed several songs with Country music star Patty Loveless. Ralph Stanley II later presented her with the inaugural Dr. Ralph Stanley Mountain Music Memorial Legacy Award much to the crowd’s delight. The band is busy on tour and will perform Saturday, June 10 at Bill Monroe’s Memorial Bean Blossom Bluegrass Festival in Bean Blossom, IN. Later this weekend, they will perform with Larry Sparks and Ricky Skaggs at the Mountain Music Legends: The Stanley Brothers Legacy. This special concert event is part of the Crooked Road’s Mountain of Music Homecoming and will take place June 11 in Blacksburg, VA and June 12 in Norton, VA. For a complete tour schedule, please visit the website..
Music fans can buy Ralph Stanley II & The Clinch Mountain Boys album at iTunes, Amazon, CDBaby, www.ralph2.com and more retail outlets. Radio programmers can download the album for their station at AirplayDirect where it is currently the #2 album on APD’s Top 50 Bluegrass / Folk Chart.